La Paz, Baja California Sur, Mexico — Want a warm world class outdoor vacation this winter/spring without having to rough it? Read on. U.S.-based outfitter Sea Kayak Adventures Inc. is proud to announce the newest addition to their Loreto, Baja repertoire of fully guided luxury camping sea kayak and whale watching tours – paddling, snorkeling and exploring the wild and rugged Island of Espiritu Santo (Holy Spirit Island) off La Paz, the capital city of southern Baja. The island is another jewel in the Sea of Cortez island collection off the southern half of Mexico’s forgotten desert peninsula, in waters teeming with whales, dolphins, colorful fish and seabirds. The outfitter is world renowned for leading fully catered/guided groups of wanna-be novice kayakers to the turquoise coves and sea caves of uninhabited islands making up the Islands of the Sea of Cortez UNESCO World Heritage Site October through April and into remote gray whale calving lagoons along Baja’s wild west coast February through first week of March. “Just three hours by express van service north of Los Cabos (“Cabo”) where celebrities, mega resorts and tequila bars reign supreme, Espiritu Santo Island offers a tranquil, stress-free experience”, says company founder Terry Prichard. “The accessibility, the history, the wildlife, the spectacular scenery and uncrowded nature of the uninhabited wilderness island makes this experience the polar opposite of the Cabo scene”. “One could easily combine both La Paz and Cabo areas to visit on the same trip to the Baja peninsula if one wants”, he added. Prichard and his crew paddle mostly two-person touring sea kayaks on 5 to 8-day tours departing weekly – note all tour itineraries include hotel nights in La Paz. Unlike its tippy whitewater cousin, a sea kayak is a comfortable and very stable craft, and basic paddling skills easily learned. No previous kayaking or camping experience is necessary, as basic instruction and certified sea kayak guides are provided. Participants can enjoy naturalist-led hikes and snorkeling while the guides set up camp and prepare gourmet meals. “Ah – savor margaritas and tapas on the beach as the sun sets, followed by sumptuous dinners crafted from the freshest ingredients. We take care of all the details while tailoring trips to meet everyone’s desires”, Prichard adds. Espiritu Santo Island offers world class paddling in warm, pristinely clear, intensely blue waters and snorkeling in coves teeming with tropical fish, some found nowhere else on earth such as the Sea of Cortez angel fish. Opportunities for sightings of pods of playful dolphins, barking sea lions, leaping manta rays as well as fin and blue whales– the largest mammals on earth– await the patient paddler. With luck, we often see the occasional plankton eating whale shark Guests will explore sheltered turquoise coves, spectacular sea caves and headlands by sea kayak, discover lovely white sand beaches with sublime sunsets and brilliant star-gazing. Custom tours for families and groups (such as all-women’s trips, yoga trips and families with teens only trips) can be arranged. 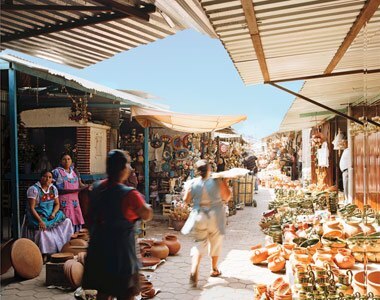 All tours depart from and return to historic La Paz, the capital city of southern Baja, situated 1,000 miles south of the USA border (a 3-day drive), but just a 3-hour drive north of Cabo. Prices start at $995 per person including airport transfer, taxes, 2 nights’ hotel, meals while kayaking, all sleeping/camping/kayaking gear, instruction and guides (1 guide per 3-4 guests). Alaska Airlines services La Paz on a daily basis from Los Angeles. The company has operated in Mexico under full permit of the Mexican government since 1993. The company is the first and only such outfitter to carry out all human waste, and go carbon neutral, and their local guides work actively with researchers to protect endangered sea turtles. SKA is financially committed to the preservation of the local natural and cultural resources. Loreto, Mexico –Sea Kayak Adventures, Inc. today launched a new array of family-only tours in Baja and BC Canada for 2013: The company has found the perfect venues for multi-generational soft adventure tours – including their new for spring break 2012 “Baja Family Kayaking Base Camp” designed for those who wish to experience Loreto Bay National Marine Park UNESCO World Heritage site and the islands of Loreto or La Paz in comfort and style. Let your family share the breathtaking beauty of Baja with an adventure of a lifetime – at a relaxed, vacation-pace! Kid-friendly base camp trips allow for easy mornings without the concern of breaking camp, so you can sip your coffee and enjoy the rising sun from the comfort of a beach chair while the guides prepare breakfast for you and your family. A support boat accompanies these tours, so youngsters who tire of kayaking can ride along. Let entertaining and highly educated guides lead hikes, play games, and host hermit crab races while you enjoy happy hour (or participate!). Itinerary suitable for youth ten and older who are at least 4 1/2 feet tall (other June-July dates available as well) – youth under age 18 get 10% off. Parents and grandparents love being pampered while teens play and learn new skills and experience nature at its finest! 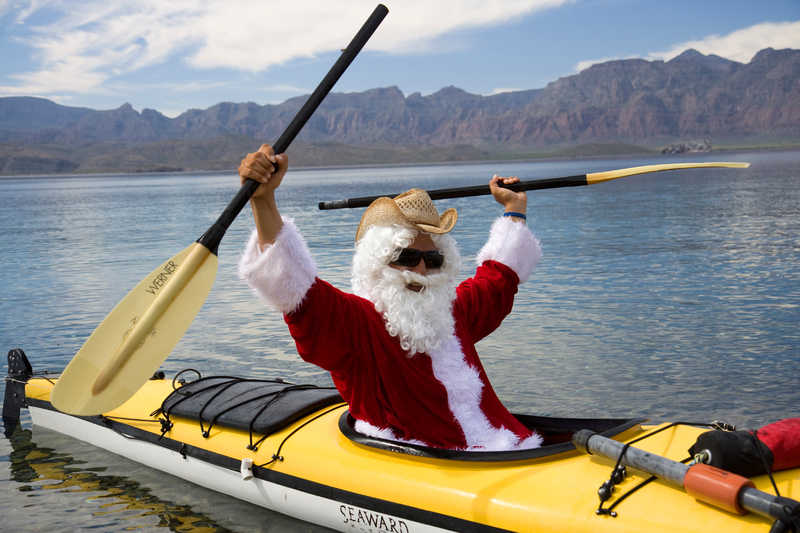 Create a new family tradition and priceless memories with your teenagers that will last a lifetime – learn to paddle a sea kayak and bond with your tween or teenager as endangered blue and fin whales – more than four times as long as your kayak – plumb the depths for tasty crustaceans in Baja’s Sea of Cortez. March and April 2012, a selection of six-day (four days of paddling and two hotel nights) trips is being offered. Paddle a leisurely 3-4 hours per day looking for the world’s largest animals and explore desert islands in Mexico’s newest national marine park – Loreto Bay National Marine Park/UNESCO World Heritage Site. No prior experience is necessary. Along the way you’ll also spot frolicking dolphins and sea lions, snorkel with angelfish in 72-degree water, and search for rare blue-footed boobies and blue whales. Spend nights camping on white sand beaches in sheltered coves and dining on lasagna and dutch oven brownies under brilliantly starry skies framed by volcanic rock cliffs. Teens love the hermit crab races after dark on the beach! Tours depart from and return to Loreto and/or La Paz, in Baja California Sur, Mexico. Stable two-person kayaks, paddling gear and instruction, snorkeling gear, meals and all camping supplies (including sleeping bags) are provided. Our naturalist guides are enthusiastic experts at activities helping families have fun together! The company also unveiled a new non-kayaking “Baja Family Gray Whale Base Camp” in Magdalena Bay gray whale sanctuary/calving ground in February and early March 2013, for kids as young as eight. Price starts at $995 US per adult (and 10% off for teens) including two nights’ lodging in Loreto and three nights’ camping. Airfare is not included. Alaska/Horizon Airlines offer direct service (1 hour jet flight) into Loreto (LTO) from Los Angeles (LAX), or fly via Los Cabos. Sea Kayak Adventures Inc is the only sea kayaking outfitter in Baja and BC Canada listed on National Geographic Adventure Magazine’s: “Best Adventure Travel Companies on Earth 2009” and named on National Geographic Travel.com “Best Deals for Adventurous Travelers 2010” and “Best Whale Watching Locations 2011”. Why this trip: Family adventure travel, grandparents and parents share whale watching experience with their children (as young as eight), guaranteed whale sightings, chance to touch a whale. PUERTO LOPEZ MATEOS, BAJA CALIFORNIA — Sharing great nature experiences are the stuff family travel is made of, and Sea Kayak Adventures offers one of the best opportunities for this type of family adventure. On their family friendly “long weekend” trips out of Loreto, Baja, parents can share an exciting whale watching experience with their children as young as eight. Sea Kayak Adventures’ Isla Santo Domingo base camp is located right in the heart of the largest gray whale calving area, all protected by Mexican federal law. However, this family adventure offers much more than simply seeing whales. On Sea Kayak Adventures’ five-day whale watching base camp excursion in Baja California’s Magdalena Bay, adults and children can often actually touch one of the 20,000 gray whales that calve in the waters each winter. “It’s the moment of a lifetime,” says SKA president Terry Prichard, “and whale sightings are guaranteed February through mid March.” Each day motorized skiffs take participants out to the deeper waters of Boca de Soledad, where ‘friendlies’ swim up to the boat. In our exclusive safari-style beach camp in the heart of gray whale activity, as whales breach and spy-hop just offshore, guests can explore whalebone-littered beaches and look for herons, egrets, dolphins, and spouting grays. That hollow sound after nightfall? It’s whales breathing! Guides versed in whale natural history lead fun activities for kids, point out wildlife and prepare all meals. Whales enjoy full protection of the Mexican federal government and one must be with a licensed guide to go whale watching here. Cost: $995 for adults and 10% off for children age 8 through 17; and includes first and last nights’ accommodation in Loreto. Airfare is not included. Alaska/Horizon Air provides the best fares directly from Los Angeles (LAX) to Loreto (LTO) in southern Baja California, Mexico. Departures begin January 25 and run through March 15, 2013 from Loreto, Mexico. 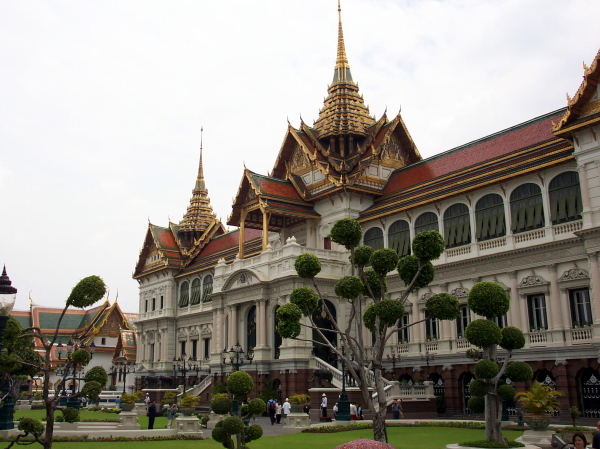 Dates include arrival and departure days, with three-days at the base camp, including long weekend tour dates. 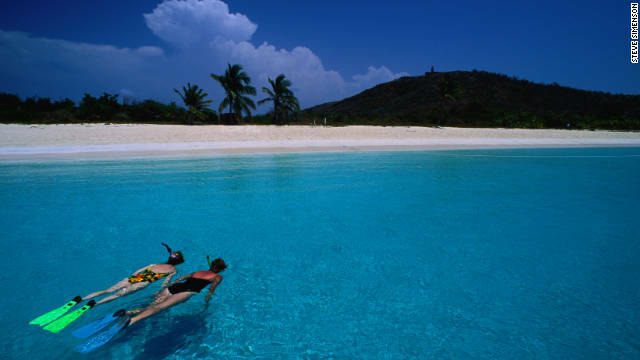 Puerto Rico is rich with history and full of adventurous travel experiences, like snorkeling. 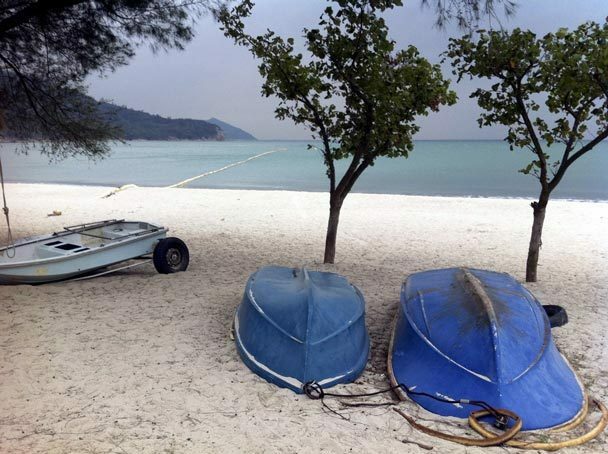 Boats on the beach at Pui O Bay on Lantau Island, about an hour by ferry from Hong Kong. The island has hiking trails, a large monastery and a fishing village. 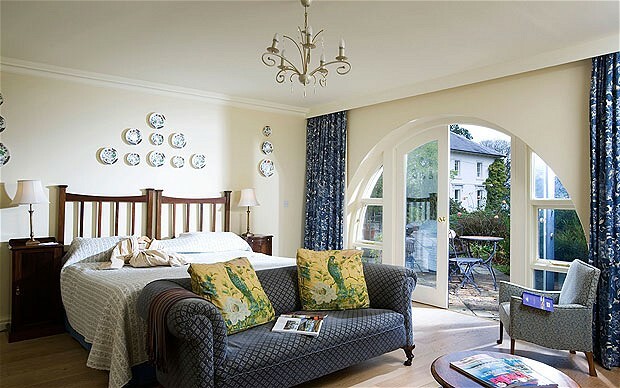 Roll into the V8 Hotel in Stuttgart, Germany, home of Mercedes-Benz and considered the birthplace of the gas-powered automobile. 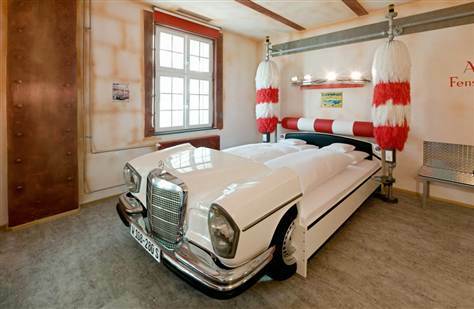 In the Car Wash room, visitors sleep in a converted 1973 Mercedes and can simulate the car-wash experience with a full-body dryer in the bathroom. Imagine being covered from head to toe in decadent dark chocolate – the ultimate pampering begins at Willow Stream Spa at Mayakoba Fairmont Resort in the Mayan Riviera. For chocolate lovers – nourishment for the soul begins here! The Food of the Gods package is decadent, a 60 minute treat for the senses. Chocolate, or Ka’kaw (Mayan word for chocolate), was highly revered in pre-Hispanic Mexico. Often offered as a tribute to the gods, it was, and still is, considered to be edible gold. 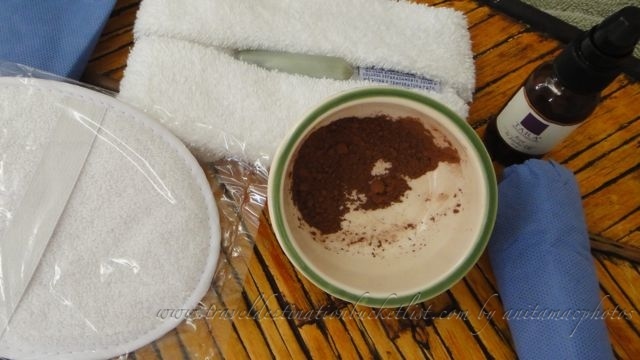 Loaded with antioxidants, this experience includes a cacao mask body wrap, scalp massage and finishes with a coconut oil and rose essence massage.